I'm constantly working on jewelry; focussed on creating new things and perfecting what I currently make. I'm in love with anything that glows in the dark and wanted to make the most vibrant glowy charms I could make. Typically I layer them in glow in the dark paint and seal them with epoxy resin. These I tried something a bit different, sealing each layer with holographic glitter between the glow paint coats. I also painted on white picks instead of clear picks with this batch. 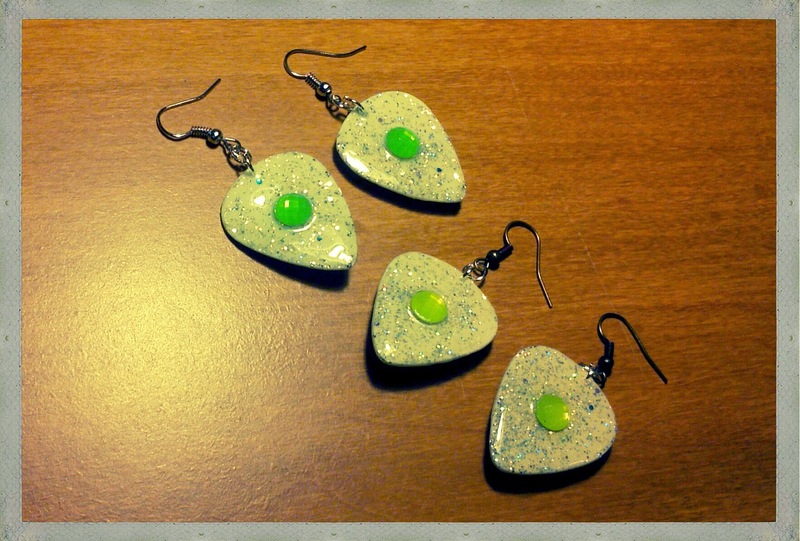 This resulted in some of my best glow in the dark jewelry yet! 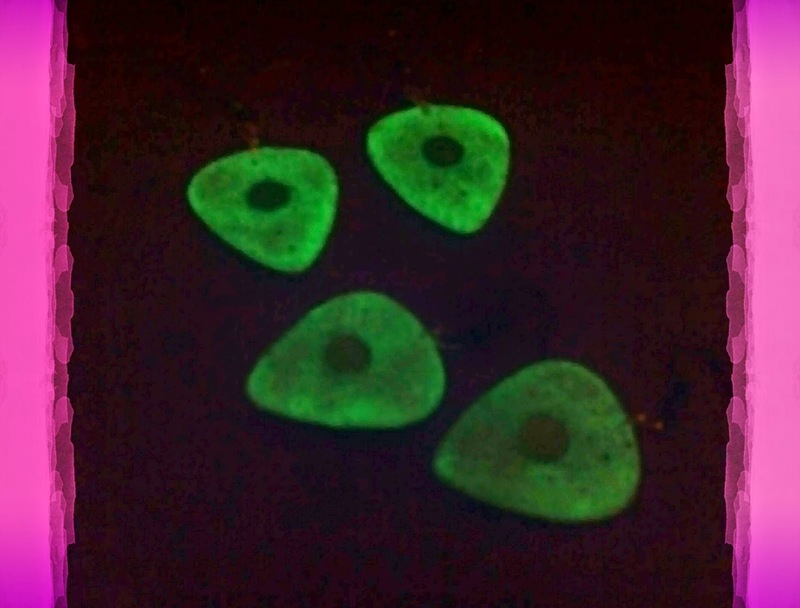 These two new pairs glow brightly in the dark after being exposed to light. I added green and yellow gems which are black light reactive (I know, I tested). These new pairs are shiny, glittery, glowy and black light reactive!